AUSTRALIAN DISTRIBUTORS FOR RRD WINDSURFING & TUSHINGHAM SAILS. 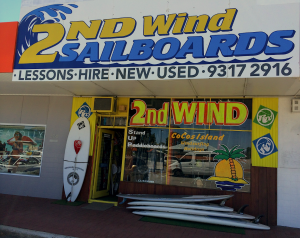 Located in Perth, Western Australia, 2ND WIND SAILBOARDS has one of the largest selections of second hand sailboard equipment in Australia, along with the latest equipment from the leading board & sail manufacturers. We are also the Australian importers of Tushingham Sails and Roberto Ricci Designs (RRD) boards, sails and Stand Up Paddle gear. 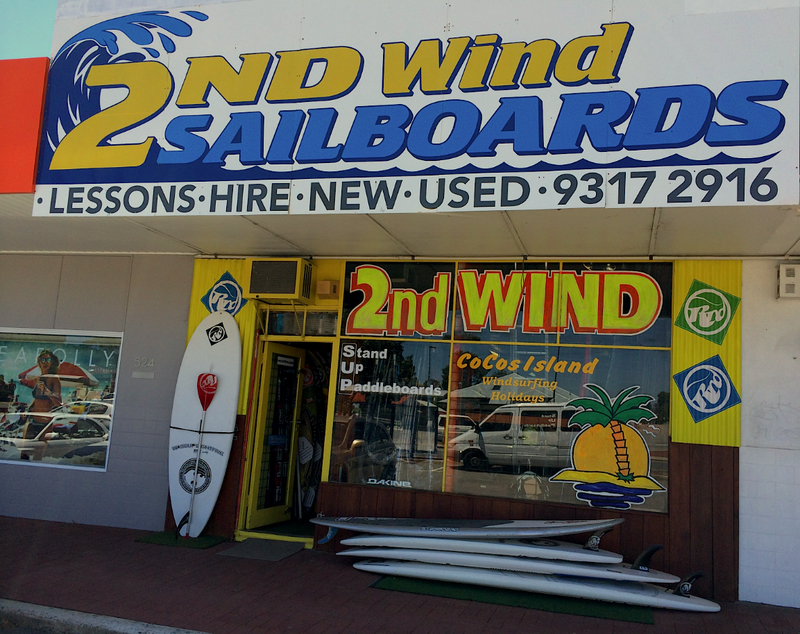 We have the top windsurfing school in Western Australia, teaching since 1984. We have the ideal training equipment, and over 30 years of teaching experience that makes learning to windsurf a breeze!
. Young or not so young, male or female, we can teach you! Our shop in Perth, which is conveniently situated on Canning Highway, half way between Perth & Fremantle, close to the Swan River and 10 minutes to the ocean, has a small front but a large heart! Hire equipment is top quality & reasonably priced. COCOS holiday clinics are on again this year July & August. Whether you’re learning, improving or just sailing, it is an unbelievably relaxing ‘deserted island’. Don’t expect to go shopping though!!! We pride ourselves on our low-pressure customer relationships as well as the best advice that can be given. Life’s too short to fill with bull. Choose from a selection of the latest designs from RRD & STARBOARD. Sails are from TUSHINGHAM, RRD & SEVERNE, with a range of heavy duty masts and booms to suit your choice.